Sugar Cosmetics has come up with a new foundation called the Ace of Face Foundation Stick. With this new launch, dreamy skin is now just a simple step away. I received 2 shades from their new range, Breve and Mocha. Breve turned out to be a perfect match to my skin tone, I'll be using Mocha for contouring. 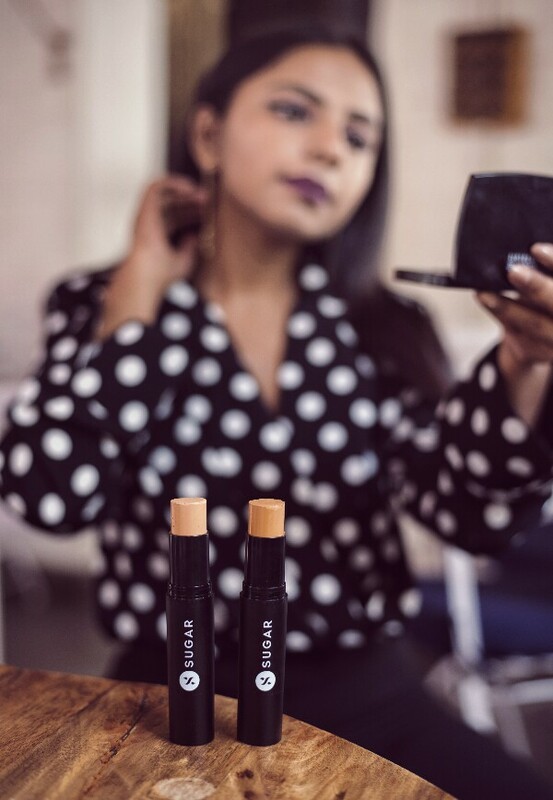 Continue reading to know more about the foundation and my experience with the shade Breve. Lightweight, creamy and beyond easy to blend, its long-wearing formula offers coverage that not just looks but also feels like second skin. This handy stick blurs away enlarged pores, fine lines, dark circles, blemishes and more, so there’s really no excuse left for you to flaunt anything less than picture-perfect skin. The full-coverage, waterproof formula offers a totally matte finish that lasts for up to 12 hours. Weightless when applied, the handy built-in brush makes it uber-easy to blend the product in or touch-up spots. Enhanced with moisturizing ingredients, this multipurpose stick can be utilized as a medium-to-full coverage foundation or concealer as needed. This product is dermatologically tested & approved and 100% safe for your skin. Get ready to make a permanent place in your makeup bag for this magic wonder and score sheer-to-full coverage without looking cakey every single time! Designed to be applied on the go, cut short your routine and pop this into your everyday handbag. Stripe it on your T-zone, underneath your eyes, your chin and follow up by blending it outward with the built-in brush. Apply directly from the stick onto your complexion and build coverage as needed. The luxurious brush-end is especially handy for buffing the product out and touching up uneven spots. Use it all over to even out your complexion or use it as a touch-up tool by applying a dab or two to problem areas. The SUGAR Ace Of Face Foundation Stick comes in 6 different shades viz. Latte, Galão, Chococcino, Breve, Mocha and Lungo. Galão is a light-medium shade with golden undertone. Chococcino is a medium shade with warm undertone. Breve is a medium beige shade with warm undertone. Mocha is a medium tan shade with golden undertone. Lungo is a medium deep shade with golden undertone. INR 999 for 12 grams. Starting off with the packaging, the foundation comes in a black plastic outer body and looks super chic. The shade name and number is mentioned at the bottom of the stick while the body has the product name. The foundation stick comes with a built-in buffing brush which makes it readily usable no matter wherever you are. The brush is really dense and blends the foundation really well. However, the bristle could have been a little longer for a better application. Although these stick foundations are easy to use and carry, but they are not hygienic if you apply directly, so wiping off the tip with a wet tissue would be a good thing to keep the product clean in the long run. The texture of the foundation is light considering it is in stick format. I was expecting it to be thick and heavy; on the contrary, it feels lightweight on the skin and if blended well, I tend to forget I have something on my face. As I have super dry skin, I lightly moisturize my skin with a cream before applying the foundation which makes the application smoother and easier. I use Breve on the center part of my face and Mocha on the outer perimeters of face and jawline for contouring. The combination of both shades works pretty well for me and lasts for a good 6-7 hours without any touch up. The finish is semi-matte and it gives a soft, dewy look. I usually follow the application of the foundation with a setting powder. A little goes a long way with this foundation stick, thanks to its unusually high pigmentation. It even fills in the pores and makes my skin look super smooth. Concealer application is optional as the coverage is medium to buildable. 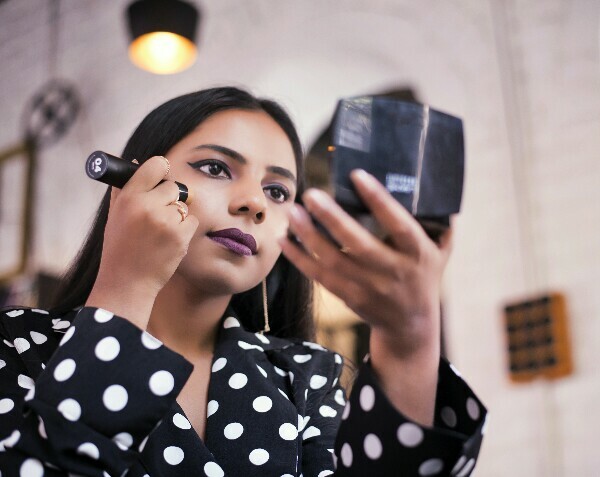 Going over the blemishes twice gives a natural finish to the look; though for stubborn marks and absolutely flawless skin, concealer would be required. I really like the fact that there is no funny smell to it which is pretty common. The product is made in Korea and the quality is pretty nice. I didn't experience any breakout, or other skin issues after using the foundation. The shade range is good too, they do cover light and deep skin tones, however, they can add a few more shades so that it's easier to find a shade closer to the skin tone. The only thing missing in the foundation is SPF, which means a sun block application is a must before using the foundation if you're heading outdoors. Overall, I really liked the product for being super handy and would recommend you'll to give it a try. The price is quite reasonable considering the quality and the amount of the product. 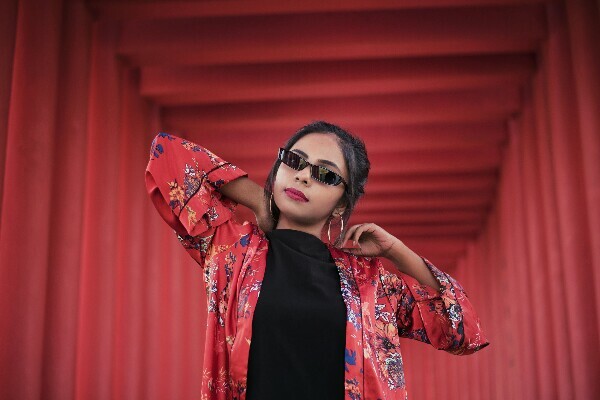 Spring has finally arrived after months of dedication to velvet dresses and teddy jackets and with the new fashion season comes a fresh batch of trends to get our heads around. The things that I get most excited about the changing of the seasons are fresh colors, new prints and updated clothes. To revamp my wardrobe, I recently browsed through the newly launched Spring collection from Max Fashion and was elated seeing so many wonderful styles. Their Spring collection 2018 revolves around four themes, Work, Play, Fun and Travel. I personally love their travel themed collection, which is mostly dominated with Oriental designs, a perfect infusion of Eastern and Western fashion sensibilities. I have created two looks for you'll featuring the collection from the travel section from Max Fashion. Oriental inspired clothing has been weaving stories of opulence and exoticism across the runways. 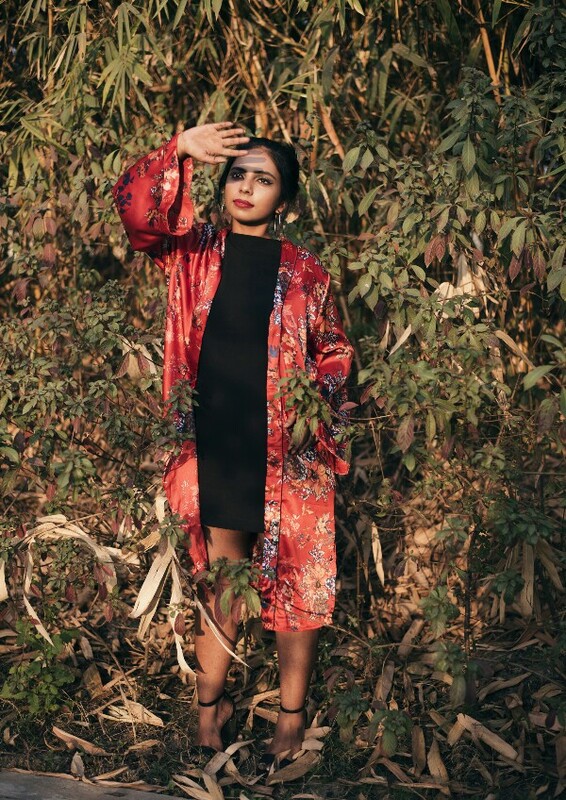 Oriental clothing is just not about mandarin gowns; there's much more to the trend from exotic prints and embroidery to an air of androgynous cool. I'm glad that Max Fashion is bringing back Oriental fashion with its Spring 2018 collection. From satin dresses to structured tops, the take is ornate, colorful, floral and absolutely gorgeous. Vibrant colors like golden and red are the major protagonists in this style. For the first look, I opted for a red satin floral robe. Last season’s sleepwear-as-daywear phenomenon focused mostly on tops, pants and slip dresses. This season the trend has made a progression into kimono-style robes. The fluid and ethereal fabric makes for a perfect travel friendly look. I have layered the robe over a black shift dress to allow easy movement while travelling. The robe can also be worn with a slogan tee and pair of cropped silk pants or shorts. I have completed the look with a pair of sleek black heels and silver loops. I channeled my inner Eastern diva by pulling my hair back into a top bun.